Situated in the heart of Europe, Luxembourg has built its position as a major European financial centre on its political stability, good communication with the market and its actors and powerful service sector. This as well as Luxembourg's limited dimensions have allowed it to maintain a certain degree of flexibility in its legal system and to cope easily with an ever-increasing volume of inward investments. The above-mentioned corporate entities (listed under (a)) are fully subject to corporate income tax, municipal business tax and net wealth tax, and can therefore be considered as opaque for tax purposes. The SARL is the most frequently used corporate form owing to the favourable combination of its limited liability, the flexibility of its by-laws and corporate legal rules, and the limited minimum capitalisation requirements (i.e., €12,000 or its foreign currency equivalent). Although the above-mentioned partnerships (listed under (b)) have legal personality (with the exception of the SLP), from a corporate income tax perspective they are not separate from their partners, and are therefore transparent. The partnership is considered as a mere collection of the partners' individual businesses: even though the taxable commercial income is determined at the level of the partnership, it is attributed and taxed pro quota directly at the level of the partners. Municipal business tax is instead levied directly from the partnerships that carry on a commercial activity or that are deemed to do so by virtue of the commercial nature of the majority of their partners (SNC) or of some partners holding a minimum interest in the partnerships (SCS and SLP). An SNC is deemed to carry on a commercial activity when the majority of its interests are held by a capital company, whereas an SCS or SLP is deemed to carry on a commercial activity when its general partner is a company whose capital is divided into shares holding at least a 5 per cent interest in the SCS or SLP. For the purpose of determining the nature of the activity carried out by a partnership whose interests are (fully or partially) held by another partnership, the latter is considered as a capital company when it carries out a commercial activity or is deemed to do so. The SLP was introduced in 2013 as a special limited partnership without legal personality that otherwise shares most legal features with the SCS. The same law introducing the SLP modernised the rules concerning the establishment and the management of the SCS. The purpose of this modernisation of the SCS and introduction of the SLP was to better facilitate the establishment of vehicles suitable for the structuring of unregulated funds. Business income is subject to corporate income tax and to municipal business tax. Since the taxable basis of the municipal business tax is to a very large extent derived from the corporate income tax basis, the rules for their determination are examined together, and the main differences are highlighted where relevant. Resident taxpayers are taxed on their worldwide income on a yearly basis, whereas non-resident taxpayers are taxed in Luxembourg only on certain categories of income sourced therein. In principle, income is determined and taxed separately for each category of income, but all of the income2 derived by corporate entities and deemed commercial partnerships is considered to be of a business nature. In general, the business profit of an entity is defined as the increase in value of its net assets over the fiscal year, adjusted for capital contributions, capital repayments and profits distributed. The determination of the net assets' value is based on the accounts of the entity. Therefore, the taxable profit in principle coincides with the financial result and is determined on an accruals basis, unless specific tax rules expressly deviate from the accounting rules or a special tax regime is in place. For this purpose, a 'fiscal balance sheet' is prepared, where the accounting values of the assets and liabilities are replaced by the values of the same that should be used for tax purposes where different. For municipal business tax purposes, profits and losses derived through a foreign permanent establishment (PE) are not taken into account and nor are profits and losses that have already been taxed at the level of a (deemed) commercial partnership of which the taxpayer is a member. Losses can be carried forward and offset against the taxable income of the same taxpayer that generated them (on the condition that they result from acceptable accounts) for 17 consecutive years. The losses generated before 2017 can be carried forward indefinitely. When a corporate reorganisation takes place (e.g., merger), the losses generated by an entity that disappears as a consequence of the reorganisation (e.g., the merged company) cannot be carried forward by the company resulting from it (e.g., the merging company). According to case law from 2013,5 a change in the 'economic owner' of the losses (e.g., change in the ownership of the loss-making company) is of no prejudice to the carry-forward of losses unless the abusive intent of the reorganisation that led to a major change in the ownership of the company is demonstrated (in particular when the company's activities change after the change in ownership). Following the aforementioned case law, an administrative circular was issued by the Luxembourg tax authorities, confirming this analysis.6 No carry-back of losses is allowed. The fiscal reform of 2017 reduced the corporate income tax rates. For the fiscal year 2018, the rate is 15 per cent for income not exceeding €25,000, 33 per cent for income between €25,001 and €30,000 and 18 per cent for income exceeding €30,001. For 2019, these rates are expected to stay the same. A 7 per cent solidarity surcharge applies to the aforementioned rates, leading to an aggregate corporate income tax rate of 19.26 per cent (2018). The tax rate is determined every year by each municipality. For Luxembourg City, the rate for 2018 is equal to 6.75 per cent, resulting in a combined corporate income tax and municipal business tax rate of 26.01 per cent (expectedly also for 2019). As a general rule, the fiscal year coincides with the calendar year. In such a case, companies have to electronically file the annual corporate income tax, municipal business tax and net wealth tax returns, along with the commercial and fiscal balance sheets, by 31 May of the next year. Under certain conditions and at the request of the taxpayer, this deadline can be postponed. After a preliminary review of the tax returns, the tax authorities can request further documents and information, or invite the taxpayer to discuss potential adjustments of the returns submitted. A final assessment is then issued: the amounts due, net of the quarterly advance payments made, have to be paid within one month. Alternatively, and at the option of the tax authorities, a self-assessment procedure can apply, whereby an assessment is issued by the Luxembourg tax administration based on the tax returns submitted by the taxpayer requesting the immediate payment of the corporate taxes computed on such basis. The assessment can be reviewed later by the tax administration before the ordinary statute of limitation7 expires, potentially giving rise to a higher corporate tax liability. The taxpayer can file an appeal against the final assessment within three months of its receipt, provided that such assessment leads to an actual claim from the tax administration (i.e., following the assessment, the taxpayer is not in a loss position). The taxpayer can lodge an appeal against the decision of the head of the tax authorities with the Administrative Tribunal within three months, while the decision of the Administrative Tribunal can be appealed before the Administrative Court. The risk of a litigation procedure can be limited by asking for clarification by the tax authorities where there is uncertainty as to a correct interpretation of the tax law applied to specific circumstances (see Section IX.iv). If an option thereto is made before the end of the respective calendar year, a fiscal unity regime is available for corporate income tax and municipal business tax purposes to a Luxembourg parent company or to a Luxembourg PE of a foreign company fully subject to a tax comparable to the domestic corporate tax (group parent), as well as to qualified subsidiaries (group subsidiaries, together with the group parent, the group). As of 2016, the fiscal unity regime is also available to the Luxembourg subsidiaries of an EEA country fully subject to a tax comparable to the domestic corporate tax, or to a PE of such corporation in the EEA. Subsidiaries can be included when they are controlled, directly or indirectly, by the group parent for at least 95 per cent of their capital since the beginning of the fiscal year for which the option is exercised; and have a fiscal year coinciding with the fiscal year of the group parent. Taxable income and losses of each company pertaining to the group are determined on a stand-alone basis and then aggregated at the level of the group parent, and adjusted to eliminate double taxation and double deduction of the same items of income. As the requirements for the application of the participation exemption regime are less strict than the requirements for the application of the tax unity, inter-corporate dividends paid under a tax unity regime are already fully exempt and do not need to be adjusted when determining the profit of the group. Losses generated prior to the tax unity can be used to offset the income of the group up to the taxable income of the group subsidiary that generated them. Once the regime ends, losses generated during the tax unity have to be left at the level of the group parent. The tax unity regime lasts for at least five years; termination prior to this five-year period ending leads to a full retroactive denial of the tax unity regime. If after the five-year period the requirements for the application of the fiscal unity regime are no longer met, the benefits obtained during the tax unity are recaptured and the tax liability of each company participating in the consolidation is assessed on a stand-alone basis from the beginning of the fiscal year in which the termination took place. Assets giving rise to exempt or partially exempt income (i.e., exempt participations and qualifying intellectual property rights) are generally also exempt for net wealth tax purposes, and assets allocated to a foreign PE and foreign real estate are generally exempt by virtue of tax treaties signed by Luxembourg. Liabilities are generally deductible if they do not relate to exempt assets. Provisions for liabilities, the existence of which is not certain (e.g., provisions for risks), are not deductible. Net wealth tax is not deductible for income tax purposes and is generally not creditable in foreign jurisdictions. Net wealth tax is not due for the first year of existence of the company (as the assets as of 1 January are deemed to be nil). In 2016, a minimum net wealth tax was introduced (to replace the minimum corporate income tax applicable until then). The minimum net wealth tax can be fixed (€4,815) if the financial assets of the resident corporate taxpayer in a given year exceed (1) 90 per cent of the total balance sheet and (2) €350,000, which is the case for most holding and financing companies. In all other cases, the minimum tax is contingent on the balance sheet total of the resident corporate taxpayer, and varies from €535 to €21,400 (for a balance sheet total exceeding €20 million). Other ad valorem or fixed registration duties may apply depending on the assets or documents registered. A real estate tax is levied annually on the unitary value of real estate properties located in Luxembourg at a rate that depends on the classification and on the location of the property. The unitary value is, as described above, determined by the Luxembourg tax administration, and generally does not exceed 10 per cent of the market value of the property. Being an EU Member State, Luxembourg applies EU VAT Directive 2006/112/EC. Luxembourg's standard VAT rate is the lowest in the EU (17 per cent). Luxembourg also applies reduced rates (3, 8 and 14 per cent) to various goods and services. Contrary to other Member States, Luxembourg has not implemented the 'use and enjoyment' rule that obliges non-registered holding companies to pay the VAT on services received from non-EU suppliers without being allowed to recover it. Following decisions of the European Court of Justice, Luxembourg strictly limited the use of the VAT exemption for 'independent group of persons' (cost sharing) to taxable persons performing activities of public interest. As a counterpart to the virtual disappearance of the cost-sharing exemption for the financial, fund and insurance sectors, Luxembourg implemented the VAT grouping mechanism, relying on Article 11 of the EU VAT Directive. Luxembourg also has an extensive definition of regulated funds qualifying for the VAT exemption on the management of regulated funds. Collective entities are considered resident in Luxembourg for tax purposes if they have their legal seat or their central administration therein. Therefore, for domestic tax law purposes, both collective entities incorporated in Luxembourg, and collective entities incorporated abroad but having their central administration in Luxembourg or having their registered office in Luxembourg, are considered resident therein for tax purposes. The central administration of an entity is deemed to be located in Luxembourg if the direction of the entity's affairs is therein concentrated. The central administration should be determined on the basis of facts through a substance-over-form analysis; in this respect, the place where the central accounting and archives of an entity, as well as the place where the shareholders' and board meetings are held, are generally considered relevant. A definition of PE is provided by domestic law to determine the minimum threshold of business activity a foreign taxpayer must reach in Luxembourg in order to be taxed therein on the income 'directly or indirectly realised' by the PE. The domestic definition of PE is broader than the Organisation for Economic Co-operation and Development (OECD) Model Convention definition, last updated in 2017, as it generally includes a 'place which serves for the operation of an established business', and therefore does not require that the business is realised 'through' such place. Further, the domestic definition includes places of purchase and sale of goods. In the absence of specific provisions in domestic law regarding the allocation of profit to a PE (and thus the determination of taxable basis in Luxembourg), a PE should be considered as an entity separate from the foreign head office. OECD guidelines may serve as a source of interpretation there, such that, in a nutshell, the profits attributable to the PE are the profits that the PE would have derived if it were a separate and independent enterprise engaged in the same or similar activities under the same or similar conditions, taking into account the functions performed, assets used and risks assumed by the enterprise through the PE and through other parts of the enterprise. Tax treaties signed by Luxembourg mainly follow the OECD Model Convention and limit the Luxembourg taxing rights of business income derived in Luxembourg by foreign taxpayers to income derived through a local PE. The income taxable in Luxembourg is only the income that is attributable to the PE (i.e., no force of attraction applies) net of the expenses that are thereto allocable. The majority of tax treaties signed by Luxembourg provide for the prohibition of discrimination in the tax treatment of local PEs of foreign taxpayers as compared with domestic companies. A bill of law proposal is currently pending with the Luxembourg legislator, which, if implemented, could impact the recognition of a PE where a tax treaty is in force between Luxembourg and a foreign country. If the draft law is implemented without changes, the recognition of a taxable presence under the form of a PE in Luxembourg will not require its prior recognition under the domestic criteria. Furhtermore, the Luxembourg tax authorities would be entitled to request proof that the source country recognises a PE as well (tax returns, ruling, etc.). The impact of this provision is unclear at this stage. There is no specific holding company regime in Luxembourg. The participation exemption regime is available to both Luxembourg SOPARFIs and to other resident companies, or PEs of non-resident companies holding qualifying participations. 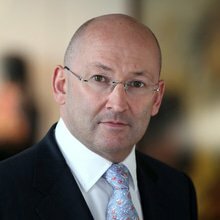 represents at least 10 per cent of the capital of the subsidiary (or alternatively, has a purchase price of at least €1.2 million – for the exemption of dividends and liquidation proceeds – or €6 million – for the exemption of capital gains) and was held without interruption over the previous 12 months (or alternatively, the parent commits to hold such participation for at least 12 months). Pursuant to the amendment of the Parent–Subsidiary Directive, with the introduction of an anti-hybrid provision (EU Directive 2014/86/EU) and a minimum common general anti-abuse rule (EU Directive 2015/121/EU), as of 1 January 2016 profit distributions covered by the Parent–Subsidiary Directive received by a Luxembourg company do not benefit from the participation exemption regime to the extent that the same payments were deductible in the country of the payor, or were paid in the framework of an arrangement or a series of arrangements that, having been put in place for the main purpose or one of the main purposes of obtaining a tax advantage that defeats the object or purposes of the Parent–Subsidiary Directive, are not genuine. If the above-mentioned minimum holding requirement under (c) is not met, an exemption of 50 per cent is available for dividends (including constructive dividends and interest on profit-sharing bonds, and excluding liquidation proceeds) distributed by a resident fully taxable capital company, a company covered by Article 2 of the Parent–Subsidiary Directive, or a capital company resident in a state with which Luxembourg has concluded a tax treaty and that is subject in its country of residence to income tax comparable with that of Luxembourg. The exemption applies to the net dividend income (i.e., the dividend income minus directly related costs and write-offs on the participation in connection with a dividend distribution of the same year). Costs (typically, financing costs), capital losses and write-offs relating to exempt participations are deductible as long as they exceed the exempt dividends received in the same year. Losses resulting from such deduction can also be carried forward for 17 consecutive years. Losses generated before 2017 can be carried forward indefinitely. However, such deductions are recaptured when a capital gain is realised on the disposal of the same participation (i.e., the capital gain is exempt only to the extent it exceeds the amount of the recaptured deductions). On 22 March 2018, Luxembourg adopted a new IP regime applying to any Luxembourg tax resident carrying out a business activity in Luxembourg and owning qualifying IP. Eligible net income from qualifying IP assets can benefit from an exemption of up to 80 per cent from income taxes and a full exemption from net wealth tax. The eligible assets must have been constituted, developed or improved after 31 December 2007 and are limited to patents, utility models, supplementary protection certificates granted for a patent on medicine and plant protection, plant variety certificates, extensions of a complementary protection certificate for pediatric use, orphan drug designations, and software protected by copyrights. The portion of the IP income benefiting from the advantageous tax treatment is calculated based on a ratio taking into account the R&D costs. The ratio corresponds to the eligible R&D costs divided by the overall R&D expenses. Luxembourg allows the eligible R&D costs to be uplifted by 30 per cent insofar as the resulting ratio does not exceed the total amount of expenditure. Expenses must be incurred within the framework of an R&D activity to be eligible, but can be undertaken either by the taxpayer itself or outsourced. The new IP regime is in line with the recommendations made by the OECD in its base erosion and profit shifting action plan 5 by adopting a nexus approach to ensure that only the R&D activities having a nexus with the Luxembourg taxpayer itself benefit from the new IP regime. Unlike the previous regime, IP assets of a marketing nature (e.g., trademarks) are excluded from the scope of the proposed regime. The former IP regime was abolished in 2016 but continues to be applicable to qualifying IP that was created or acquired before 1 July 2016. This grandfathering period started on 1 July 2016 and will end on 30 June 2021. Where the taxpayer is eligible under both regimes, the taxpayer may elect the IP regime to be applied during the grandfathering period. The choice for either option is irrevocable for the entire transitional period. The main subsidies and incentives are mentioned in this chapter. Business investments, professional development and employment are, however, further supported through specific tax credits granted for new investments in qualifying business assets located in Luxembourg and put to use in Luxembourg or in the EEA (with the exception of ships, which benefit from the credit even if operated abroad);11 sustained employees' training expenses; and hiring employees previously registered as unemployed. The above-mentioned subsidies are available to all businesses and do not refer to any specific sector of activity. Distributions paid by a resident company to non-resident shareholders are generally subject to a 15 per cent withholding tax. This includes repayments of previously contributed capital, unless such repayment is motivated by sound business reasons. As a general rule, there is no withholding tax on outbound royalties and interest; however, outbound payments to related parties exceeding the arm's-length measure can be requalified as hidden dividend distributions and be subject to a 15 per cent withholding tax. Furthermore, profit-sharing interest received by a 'money provider' as payments on loans represented by securities that, in addition to a fixed coupon, are entitled to a variable coupon that depends on the company's profit distributions, are subject to a 15 per cent withholding tax. a fully taxable company resident in an EEA country, or a Luxembourg PE thereof. Luxembourg has more than 80 tax treaties currently in force, which are mainly in accordance with the OECD Model Convention, and further treaties are being negotiated. The table in Appendix 1 at the end of the chapter shows for each double tax treaty in force the potential reductions of withholding tax rates applicable to outbound payments of dividends, interest and royalties according to such treaties. Economic and juridical double taxation of foreign profits is generally avoided through a full or partial exemption system. The general conditions for the participation exemption regime are described in Section V.i. When a certain participation threshold is reached in a foreign company, tax treaties signed by Luxembourg generally provide for the exemption of foreign profits as a system to relieve double taxation. When foreign dividends are not exempt, taxes levied by the foreign authority to the Luxembourg recipient can at least be partially recovered, if certain conditions are met, through the domestic foreign tax credit system. Domestic law does not provide for an indirect tax credit system of taxes levied by the foreign authority at the level of the foreign entity. Entities are commonly funded with a mix of equity and debt. Whether an instrument should be considered as debt or equity for Luxembourg tax purposes has to be evaluated on the basis of a 'substance over form' approach (i.e., taking into account the economic rather than the legal features of an instrument). This prevalence of economic characterisation over legal appearances has been confirmed by both parliamentary history13 and case law14 as a principle underlying Luxembourg tax law. The equity investment can be represented by different classes of shares that track different income or investments of the same company (or both). Several financing tools can be created that combine features of debt and equity according to the projected profitability of the investments, and are tailored to the needs of the investors (base reduction in Luxembourg, withholding tax planning, repatriation of profits, flexibility upon exit). Under certain conditions, hybrid debt instruments may be issued by a Luxembourg company. These hybrid debt instruments (e.g., convertible preferred equity certificates (CPECs)) are normally treated as debt for Luxembourg legal, accounting and tax purposes, but may be treated as equity for tax purposes in the country of residence of the holder of the instrument (e.g., the US). The expression 'CPECs' is often used as a general abbreviation. However, the precise terms and conditions may differ on a case-by-case basis. The use of hybrid instruments will be affected by the anti-hybrid rules, described in Section X. There are no specific thin capitalisation rules under Luxembourg law. However, when a loan is granted or guaranteed by related parties, and such loan finances assets are different from financing assets (e.g., participations, real estate, intellectual property rights), in practice, a debt-to-equity ratio of at least 85:15 is generally required. The interest payments related to the debt exceeding this ratio may be treated, for tax purposes, as dividends, and, therefore, considered non-deductible for corporate income tax purposes and subject to the 15 per cent dividend withholding tax. In addition, the Luxembourg transfer pricing rules require intra-group financing companies to avail of an appropriate amount of equity, such that they have the financial capacity to assume the risks they run. Such amount is to be determined on a case-by-case basis. As a general rule, any arm's-length costs incurred for the purposes of the business activity are deductible to the extent they are not related to exempt income. See also Section V.i. On 20 June 2018, a bill of law was introduced (and is currently still pending) in the Luxembourg parliament to implement the EU Anti-Tax Avoidance Directive 2016/1164/EU of 12 July 2016. The draft law contains, inter alia, an interest deduction limitation rule which is expected to take effect on 1 January 2019. At this time, it is not known whether the draft law will be amended prior to its final adoption. The main elements of the interest deduction limitation rule as contained in the draft law are summarised here below. The concept of 'exceeding borrowing costs' is introduced. It means the excess, if any, of a Luxembourg taxpayer's deductible interest (and economically equivalent) expenses over such taxpayer's taxable interest (and economically equivalent) income. As a general rule, the deductibility of a taxpayer's exceeding borrowing costs in a given fiscal year is capped at the higher of 30 per cent of such taxpayer's EBITDA in such fiscal year or €3 million. 'EBITDA' is defined as the taxpayer's net income (1) increased by its exceeding borrowing costs, depreciation and amortisation and (2) decreased by tax-exempt income and the expenses attributable to such exempt income. a taxpayer that is a member of a consolidated group for financial accounting purposes and, in short, the ratio of equity over total assets of the consolidated group does not exceed the same ratio of the taxpayer by more than 2 percentage points. Distributions can be made up to the amount of freely distributable reserves as shown in approved financial statements after the accruals to the legal reserve required by the law are thereto allocated. Under certain conditions, interim dividends can be distributed. In principle, repayments of share capital contributions are subject to a 15 per cent withholding tax. However, such contributions can be repaid to the shareholders without triggering any taxation to the extent that the share capital repaid was not formed by allocations of profit reserves to the share capital, which are deemed to be distributed first and the share capital reduction is supported by valid economic reasons. Repayments that correspond to profit reserves allocations to the share capital or that are not supported by valid economic reasons are considered, from the perspective of the shareholders, as income from capital. The formal repayment of capital (i.e., share capital decrease by way of cancellation of shares) is, however, subject to limits and procedures set by corporate law: the share capital resulting from the repayment cannot be lower than the minimum share capital required by the law (i.e., €12,000 for a SARL and €30,000 for an SA). A higher degree of flexibility can be obtained through the provision of a share premium reserve. From a tax perspective, the concepts of hidden capital contribution and of hidden capital repayment are applied, under certain conditions. Both hidden capital contributions and hidden capital repayments benefit from the tax treatment of formal contributions and repayments irrespective of their different accounting treatment. As a typical example, a shareholders' debt waiver could be considered exempt from corporate income taxes if certain features, typical of hidden capital contributions, are present. See Section VII for a general comment on funding structures. As a general rule, the assets of a resident company merged into (or demerged in favour of) another resident company or into a foreign company are deemed realised at market value, and are, therefore, fully taxable in Luxembourg. Domestic and European reorganisations can be performed tax-neutrally to the extent that, broadly speaking, Luxembourg's future taxing right on latent gains is not lost because of the reorganisation (e.g., a PE is maintained in Luxembourg to which part or all of the assets incorporating a latent gain are allocated). The taxation can, therefore, be deferred to the future actual realisation of latent gains. For domestic mergers, tax neutrality is granted if the cash payment does not exceed 10 per cent of the face value of the share capital of the absorbed company; and the merger allows the future taxation in Luxembourg of latent capital gains. For domestic demergers, tax neutrality is granted if, in addition to the conditions set out above for mergers, the shareholders of the divided company receive, in exchange for their participation, a proportional participation in each beneficiary company (i.e., 'proportional demerger'); and the assets transferred include at least an autonomous business unit. If the beneficiary of the merger or of the demerger maintains the book values of the assets and liabilities acquired, the historical acquisition dates can be maintained. Such rule is relevant for the application of the participation exemption regime (e.g., the date of acquisition of the participation can be maintained by the company acquiring it by way of a merger or demerger). The same neutrality regimes apply to mergers whereby a fully taxable resident company is absorbed by a company resident in a Member State, and to demergers whereby a fully taxable resident company is demerged into companies resident in other Member States. As a general rule, when a domestic business (in an incorporated or unincorporated form) leaves Luxembourg tax jurisdiction, exit taxation applies. Under the current law provisions, a deferral for transfers to an EU or EEA jurisdiction is under certain conditions available indefinitely (i.e., until alienation of the relevant asset); after implementation of the EU Anti-Tax Advoidance Directive however, such deferral would be limited to a five-year period. When a resident company transfers its legal seat and its central administration abroad, the company is deemed liquidated, and capital gains accrued on its assets and liabilities are subject to tax. The migration can, however, be performed at book values, thereby deferring the capital gain taxation, when the assets of the migrating company are attributed to a domestic PE. When a non-resident company disposes of or transfers abroad a domestic PE, the capital gains accrued on its assets and liabilities are subject to tax. A tax deferral can be obtained if the PE is transferred to a company resident in a Member State by way of a going concern contribution, merger or demerger; and the book values of the PE transferred are maintained by the acquiring company. When the foreign PE of a domestic company is disposed of, the accrued capital gains on the assets and liabilities of such PE are subject to tax unless a tax treaty providing for the exemption of foreign PEs is in force with the country where the PE is located. When an asset is attributed to a foreign (exempt) PE, it is debatable whether the Luxembourg head office is taxable on the deemed capital gain realised. The main position of the doctrine is that, even if the attribution of the asset should be booked at fair market value according to the 'separate entity approach', the resulting capital gain is taxable only once the asset is actually disposed of by the PE and to the extent a capital gain is actually realised. The taxpayer is free to choose the structure or the transaction that allows the most tax-efficient results. Nonetheless, the law provides that the tax benefits deriving from the use of forms and constructions that, even though formally permitted, are aimed at mitigating or evading taxes and lack further economic reasons, cannot be recognised. In such cases, taxes will be levied that correspond to the form or to the construction that would be reasonable and appropriate in consideration of the economic reality. It is expected that the above-described general anti-abuse rule will be amended effective 1 January 2019, following the implementation into Luxembourg law of the EU Anti-Tax Avoidance Directive. As mentioned above, on 20 June 2018, a bill of law was introduced to that effect, including a new general anti-abuse rule. It will suffice for a tax advantage to be one of the main purposes of the arrangement to be caught under the general anti-abuse rule. The wording of the new rule remains, however, close to the existing wording and will require case law to further refine its interpretation. The civil law concept of simulation can also be used by the tax authorities to deny the tax benefits deriving from a certain transaction if it can be proved that the intention of the parties is to put in place a different, hidden transaction. In such a case, the tax effects of the latter will be applicable. In an international setting, the applicability of some tax regimes (e.g., participation exemption) is conditional to the proof of a minimum level of effective taxation of the foreign entity involved. The draft law published on 20 June 2018 and providing for the implementation of the EU Anti-Tax Avoidance Directive includes CFC rules. If adopted, such rules will provide that where a CFC has been put in place essentially for the purpose of obtaining a tax advantage, Luxembourg corporate taxpayers will be taxed on the undistributed net income of a CFC, pro rata to their ownership or control of the foreign branch or the (directly and indirectly held) subsidiary, but only to the extent such income is related to significant functions carried out by the Luxembourg corporate taxpayer. To the extent that a Luxembourg company can establish, on the basis of adequate documentation of its activities or functions, or both, that it does not perform significant functions related to the CFC's activities, the CFC rules, when introduced, should not have an adverse tax impact. It should be noted that the above-mentioned CFC rules will only apply for corporate income tax purposes and not for purposes of the municipal business tax. In addition, an obligation was included in the law for taxpayers to be able to present transfer pricing documentation upon request of the tax authorities, substantiating the arm's-length character of related-party transactions.17 The burden of proof therefore lies with the taxpayer in that respect. A circular letter issued on 27 December 2016 (the Circular) by the Luxembourg tax authorities officially clarifies the criteria to be followed for the determination of arm's-length remuneration on intra-group financing transactions. The Circular applies to group companies whose principal activity other than holding activities consists of intra-group financing transactions, which are defined as the granting of loans or advances to associated companies financed by any financial means. While the Circular does not address other intra-group situations, such as borrowing from an affiliate to acquire receivables in the market, the principles set out in it should also be largely relevant to those transactions. Inter alia, the Circular highlights the main substantive requirements that a group financing company established in Luxembourg is required to meet to be able to enter into an advance pricing agreement (APA) with the tax authorities. In this respect, and among other substance requirements, the financing company should be adequately capitalised to face the functions performed and the risks assumed in connection to its financing activity. As such, the amount of equity that a financing company needs should be benchmarked. the financing company should have fulfilled its obligations regarding the filing of tax returns at the time when it requests an APA. On the basis of a written and motivated request by any taxpayer, the competent tax office will issue an advance decision regarding the application of the Luxembourg tax laws to certain operations described by the taxpayer (ATA). Such decision would bind the tax office, albeit only with respect to the requesting taxpayer and limited to the concrete case described by the latter. The decision of the tax office will be taken on the basis of a uniform interpretation of the tax laws and the principle of equality. An administrative fee applies, ranging between €3,000 and €10,000, determined by the Luxembourg tax authorities on the basis of the complexity of the case concerned. On 13 July 2016, a law on the mandatory automatic exchange of information in the field of taxation, implementing EU Council Directive 2015/2376 extending the scope of mandatory exchange of information on cross-border ATA and APA, was approved. As a consequence, the Luxembourg tax authorities will, as from 1 January 2017, exchange information on ATA and APA with other Member States of the EU with retroactive effect (the exchange applies to ATA and APA amended or renewed as from 1 January 2012, provided they were still valid on 1 January 2014). ATAs and APAs that involve only individuals or taxpayers with a low turnover (i.e., less than €40 million in the year preceding the issuance of the ATA or APA) are excluded. Following implementation of the EU Anti-Tax Avoidance Directive, an anti-hybrid rule will apply to intra-EU hybrid mismatches resulting from differences between two EU Member States in the characterisation of a financial instrument or an entity, which give rise to double deductions or a deduction without a corresponding inclusion. In 2020, these anti-hybrid rules are expected to be extended to hybrid mismatches with non-EU countries. In addition, while outside of the scope of this chapter, it should be noted that the 2017 US Tax Cuts and Jobs Act and in particular the anti-hybrid rules contained therein are also expected to have a substantial impact on the use of hybrid instruments such as CPECs. As a result of the implementation of the EU Directive into the laws of the EU Member States introducing mandatory disclosure rules, advisers, other intermediaries and taxpayers may be legally required to disclose information to the EU Member States' tax authorities on certain advice given and services rendered regarding cross-border tax planning arrangements that qualify as 'reportable cross-border arrangements'. The domestic law (which is not yet available in Luxembourg) relating to the Mandatory Disclosure Directive will enter into force on 1 July 2020; nevertheless, cross-border arrangements that are reportable under the new rules and of which the first step of implementation takes place from 25 June 2018 to 1 July 1 2020 should be reportable ultimately on 31 August 2020. Luxembourg is committed to continuing and extending its role as a major European financial centre, ensuring at the same time the transparency and, in general, the compatibility with EU laws and principles of its own tax law. Outside the taxation arena, major initiatives are being undertaken in other fields, notably that of investment funds, one of the other main drivers in the financial area. On 7 June 2017, Luxembourg (together with 67 other jurisdictions) signed the Multilateral Convention to Implement Tax Treaty Related Measures to Prevent BEPS (MLI). On 3 July 2018 the Luxembourg government submitted the bill for ratification of the MLI to the Luxembourg parliament. In terms of timing, owing to the required national ratification procedure in both jurisdictions that are party to a matching treaty, as well as the timetable provided in the MLI, it is unlikely that for taxes levied at source the MLI provisions will come into effect before 1 January 2020 for companies whose fiscal year coincides with the calendar year. With respect to other taxes covered by the double tax treaties, the MLI provisions would apply as from the taxable year beginning on 1 January 2020. The purpose of the MLI is to introduce the BEPS principles in double tax treaties. Luxembourg declared that all the signed tax treaties currently in force will be seen as covered tax treaties for the purpose of the MLI. However a large number of treaty partners have not signed yet the MLI (including the United States). 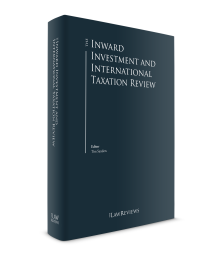 Even though Luxembourg has made several reservations about the application of the MLI, which in most instances will be applied only as far as the 'minimum standards' are concerned, certain MLI provisions (e.g., the principal purpose test) will affect the application of the current double tax treaties. 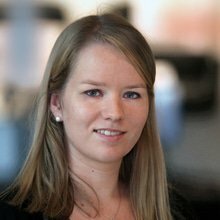 1 Pieter Stalman is a partner and Mélanie Staes is an associate at Loyens & Loeff. The authors wish to thank Delphine Martel, associate at Loyens & Loeff, and Olivier Coulon, associate at Loyens & Loeff, for their contribution to this chapter. 2 See, however, Section V for a description of the exemption regimes applicable to income derived from qualifying participations and intellectual property rights. 3 See Section V for a more detailed discussion of the deductibility of expenses related to exempt participations and to partially exempt income from intellectual property rights. 4 See Section V for a description of the exemption regime applicable to capital gains on qualifying participations and intellectual property rights. 5 Cour administrative (Luxembourg), 7 February 2013, n°31320C. 6 Circular n°114/2, 2 September 2010, Report de pertes dans le cas du Mantelkauf. 7 The statute of limitation for the assessment and the collection of income tax is generally five years following the end of the calendar year in which the tax liability arose. However, a 10-year limitation period applies in the case of additional taxation owing to failure to file a return, or for an incomplete or incorrect return (with or without fraudulent intent). 8 Bewertungsgesetz, Memorial 902, 3 January 1934, page 9002. 9 Memorial A no 207, 24 September 2008. 10 The Luxembourg tax authorities generally consider that a foreign tax is comparable with the Luxembourg corporate income tax if the rate of the foreign tax is at least 9 per cent (i.e., half of the current corporate income tax rate) and the taxable base is computed on the basis of criteria that are comparable to the Luxembourg criteria. 11 Following the Tankreederei I SA decision by the European Court of Justice (C-287/10 of 22 December 2010), which ruled that the scope of application of the incentive is contrary to the freedom of movement of capital, a circular issued by the tax authorities (Circular 152-bis/3 of 31 March 2011) and an update of the law clarify that the tax credit is also applicable to new investments in qualifying business assets located in Luxembourg put to use in a state that forms part of the European Economic Area. 12 The Luxembourg tax authorities generally consider that a foreign tax is comparable with the Luxembourg corporate income tax if the rate of the foreign tax is at least 9 per cent (i.e., half of the current corporate income tax rate) and the taxable base is computed on the basis of criteria that are comparable to the Luxembourg criteria. 13 Parliamentary document 571/4, commentary to Article 114 (p. 294). 14 By way of example: Administrative Tribunal, 18 June 2014, nr. 32653, Administrative Court, 26 July 2017, nr. 38357C. 16 Article 56 bis LIR.